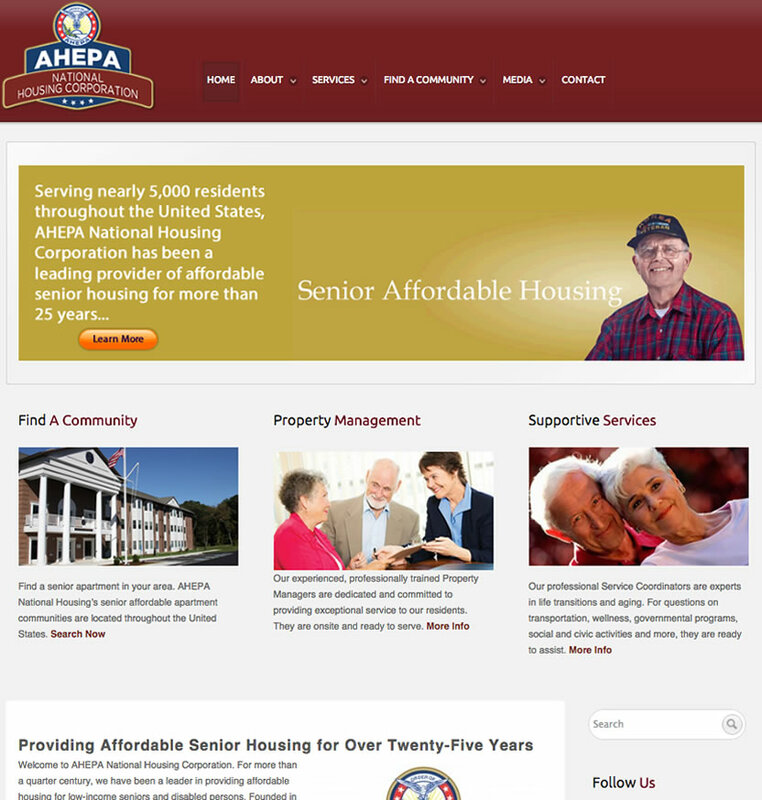 AHEPA National Housing Corporation is a leading, national provider of 90 senior housing communities. They needed a complete redesign and a better way to list their properties to connect with seniors looking for affordable housing. Additionally, they needed an Internet marketing campaign that reached their senior audience. We designed a branding, search, and social media campaign that doubled their web traffic and dramatically increased their web visibility.